A healthy and balanced diet is what allows you to function to your fullest every day. How do you know if your diet is healthy? 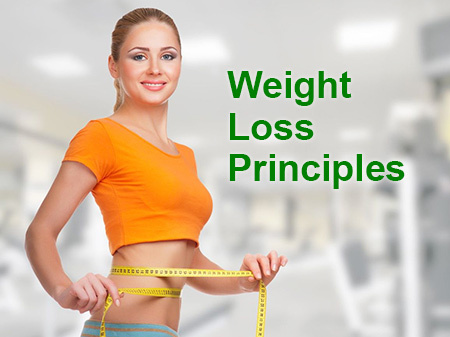 The most effective way of achieving the optimum physical health is to adjust your nutrition and lifestyle according to the following key principles. 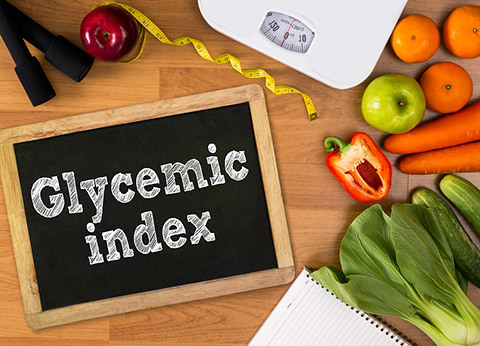 Avoid ‘fast burn’ high glycemic index (GI) carbohydrate foods; replace these with primarily ‘slow burn’ low GI foods and limit medium GI foods. As a guide consume no more than 100–125g of total carbohydrate per day and no more than 50g of carbohydrate at any one meal. Consume at least 18g of fiber per day. Fiber is essential for the proper functioning of your digestive and intestinal systems. Insufficient fiber consumption can lead to a variety of health conditions. Consume sufficient protein. 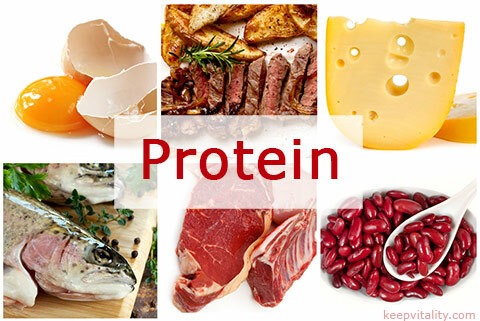 Protein is needed for the manufacture of tissues, antibodies, enzymes, and hormones. It is essential for growth and development. Protein consumption supports lean body tissue (‘muscle’), calorie usage and fat loss. As a guide consume 80–150g of protein per day. Protein sources should be low in unhealthy fats (saturated and trans fats). The best sources of protein include lean meat, fish, eggs, skimmed milk, tofu, Quorn and soya milk. Minimize consumption of unhealthy fats (saturated and trans fats), but consume sufficient healthy fats (polyunsaturated and monounsaturated), which provide essential and beneficial omega-3, 6 and 9 fatty acids. Check labels for the various fat contents and look out for labeling referring to omega-3, 6 and 9 fatty acids. Consume at least 3 regular meals per day (see Ideal Meal). Do not skip a meal and consume a healthy snack if you become hungry between meals. Ideally select a snack that contains protein and low GI carbohydrate (see Ideal Snack). Protein (20–50g per meal) from sources low in unhealthy fats – e.g. lean meat, fish, eggs, skimmed milk, tofu, Quorn and soya milk. Carbohydrate (up to 50g per meal) avoiding high GI foods and comprising of primarily low GI foods and high fiber sources, such as fibrous vegetables, high fiber salad, or whole grain foods. Low in unhealthy fats (saturated and trans-fats). Moderate healthy fats (polyunsaturated and monounsaturated) providing omega-3, 6 and 9 fatty acids, in at least one meal per day. Low salt / sodium content. Select foods with less than or equal to 0.4g of sodium per 100g. Protein (10–25g), low GI carbohydrate (up to 25g) and low in unhealthy fats – e.g. a protein snack bar; one small pot of low fat and sugar free yoghurt or cottage cheese; 30g of unsalted nuts; sunflower or pumpkin seeds; sugar free jelly. Or low GI carbohydrate (up to 25g) – e.g. one piece of fresh fruit or two oat cakes. Consume sufficient micronutrients, which are essential for life and includes vitamins, minerals, phytonutrients, antioxidants and enzymes. 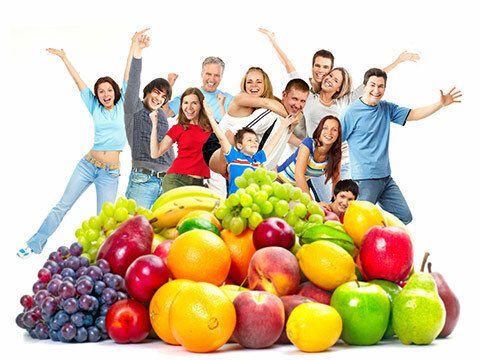 Try to eat 5–9 servings of fresh, organic fruit and vegetables per day. Drink at least 2 liters of filtered, bottled or spring water per day. Flavoured drinks, including sugar-free soft drinks all count towards the 2-litre target. Caffeinated drinks and alcohol do not because they are diuretics and cause dehydration. Restrict salt / sodium consumption to no more than 6g / 4g per day. Since it is increasingly difficult to obtain everything we need from our diet, use multivitamin/mineral supplements in combination with a balanced and varied diet to assist in meeting these principles for the support of optimum health. Drink no more than 200ml of fruit juice per day. Use fructose (fruit sugar) in place of regular sugar. It has a low glycemic index and one third sweeter so you need less of it. Exercise regularly (at least three times a week). Exercise does not necessarily mean having to workout at your local gym, but can simply be a 20–45 minute brisk walk. A small to moderate amount of exercise on a regular basis (e.g. brisk walk daily) is better than a large amount of exercise a couple of times per week.